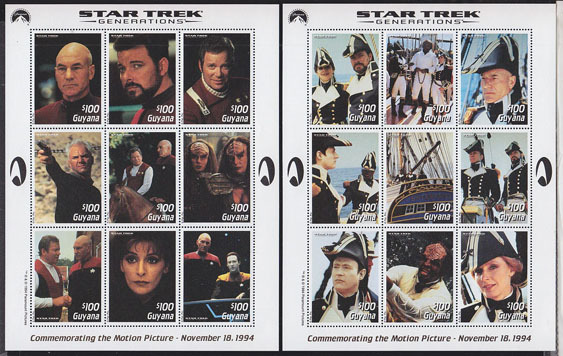 17300 SS GUYANA (1994) Star Trek Generations*. Set of 2 souvenir sheets of 9. Scott Nos 2904-5.